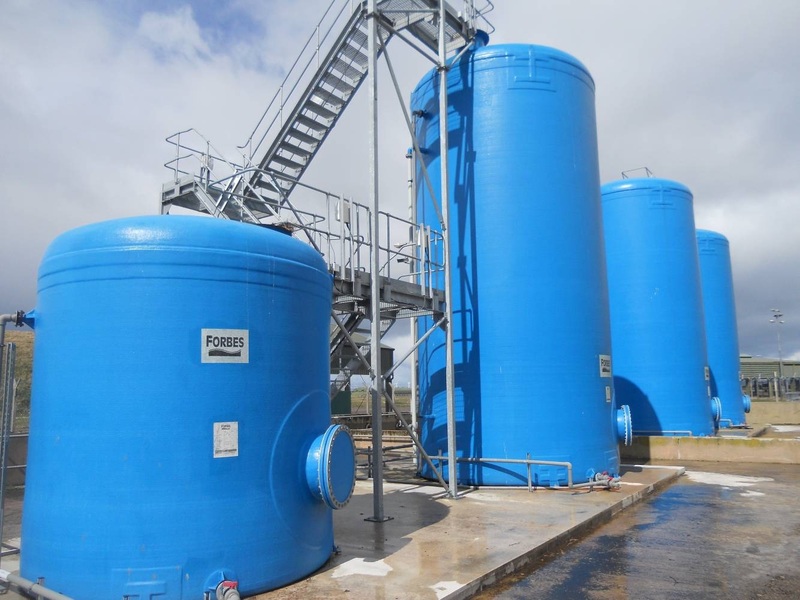 Forbes manufacture tanks for effluent & sludge storage using a variety of different construction materials (including Polypropylene or High Density Polyethylene & GRP) which are selected to suit your specific application. 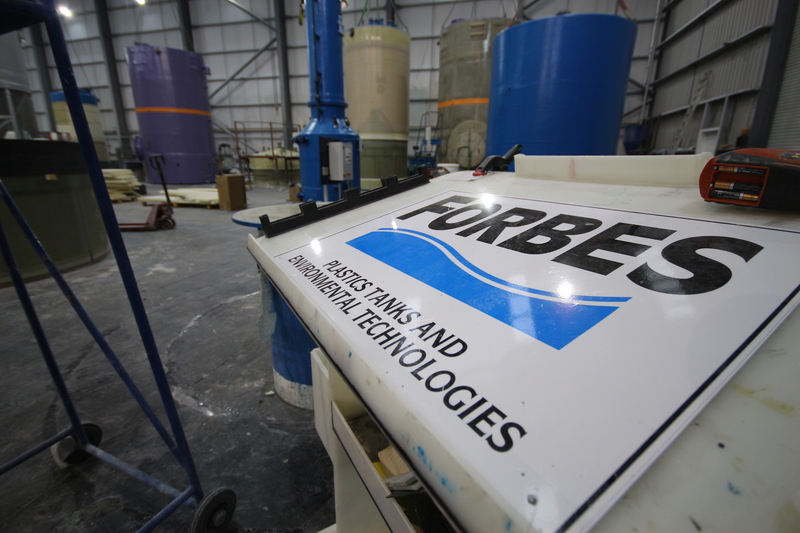 From the simple to the complex, and with capacities up to 200,000 litres, Forbes is your one-stop-shop for effluent & sludge storage. 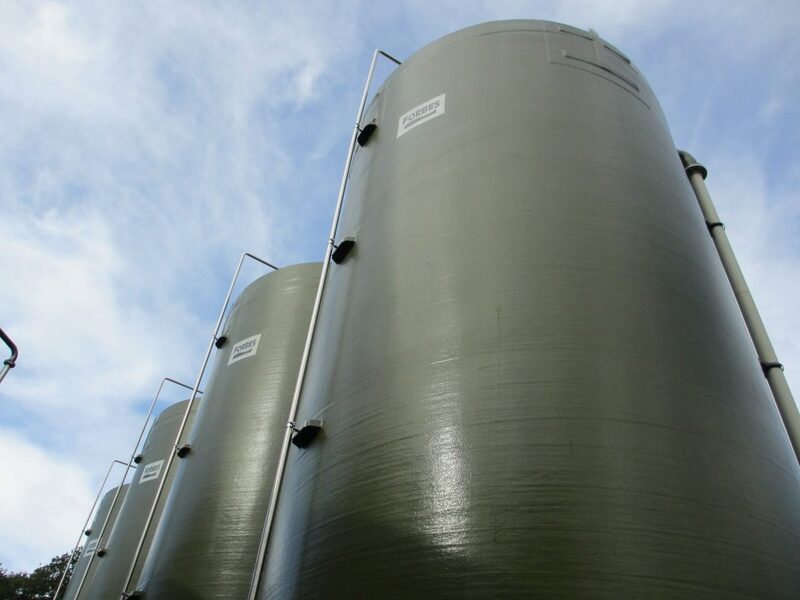 Forbes fabricates a full range of storage tanks including glass reinforced plastic (GRP) with thermoplastic inner shell. Forbes can supply all your essential accessories including thermoplastic, carbon steel and aluminium pipework.